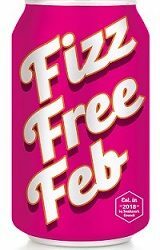 Fizz Free February is coming to Dudley for the first time, will you be making the pledge to #gofizzfree? Taking part in Fizz Free February is a great way to reduce your sugar intake by cutting out fizzy drinks. It can also help you on your way to drinking fewer sugary drinks for the rest of the year. To make your pledge to give up fizzy drinks tweet @dudley mbc or @LetsgethealthyD using #gofizzfree. You can also take part by signing up here.